* Paypal and MO only! * I receive money, I ship. Simple as that. * Prices are firm and fair, but I'll take reasonable offers. * Obo - Or Best Offer!!!!! * I ship everywhere. As long as you pay for shipping if international. * If you wish to trade, I will not ship first. I have enough feedback for you to trust me. *I ship Wednesdays and Saturdays, unless otherwise noted due to work schedule. -Victor Body with internals Price: $20? 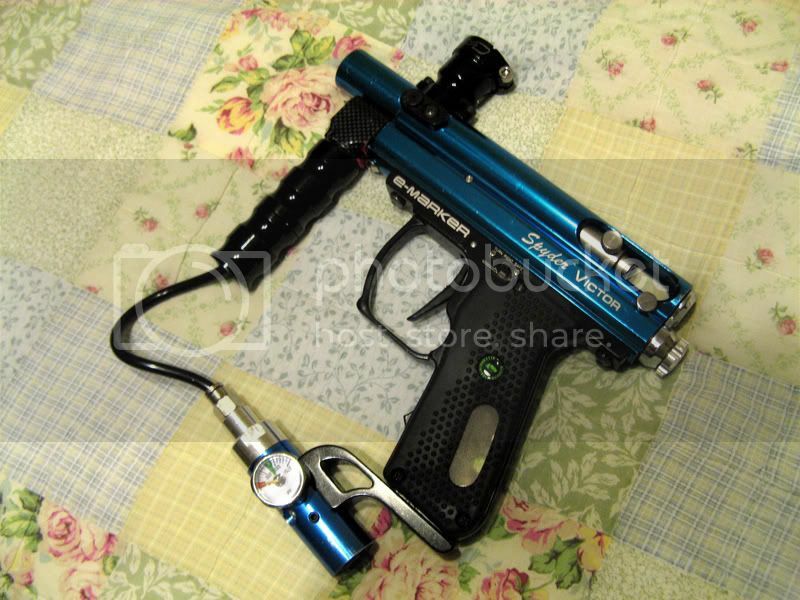 -Spyder Bottomline Regulator Price: $20? Kid Arguing with his mom on Xbox Live! FUNNY! Misc. and Spyder Parts for Sale!!!! Last edited by Opteron-O3 : 09-18-2007 at 03:33 PM. Prices are Best Offer just FYI. Is that a carbon fiber VA? T-board and eyes are gone! how much for the the frame and stock board??? do you have a 14" barrel, fast hopper ??? ?